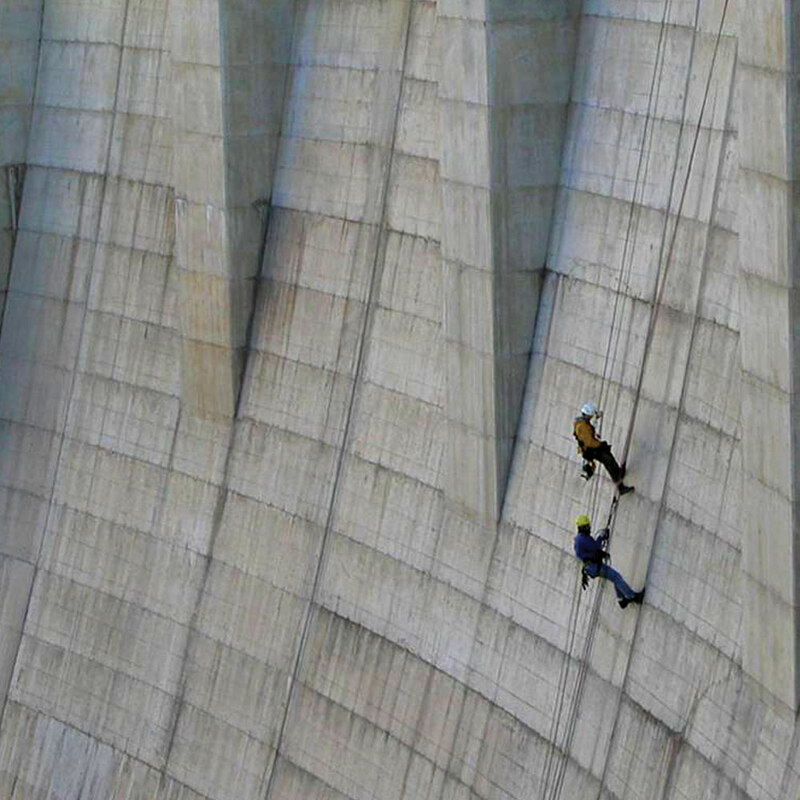 MISTRAS Rope Access technicians specialize in inspection and maintenance of Dam and Hydroelectric facilities using rope access. Rope access capabilities allow MISTRAS Ropeworks technicians to work on elements that would otherwise be inaccessible or too expensive to reach using other means. Rope access systems are easily and quickly installed and dismantled. Often, work can be completed and demobilized before traditional access systems are in place allowing rapid resumption of and minimal disruption to normal operations. 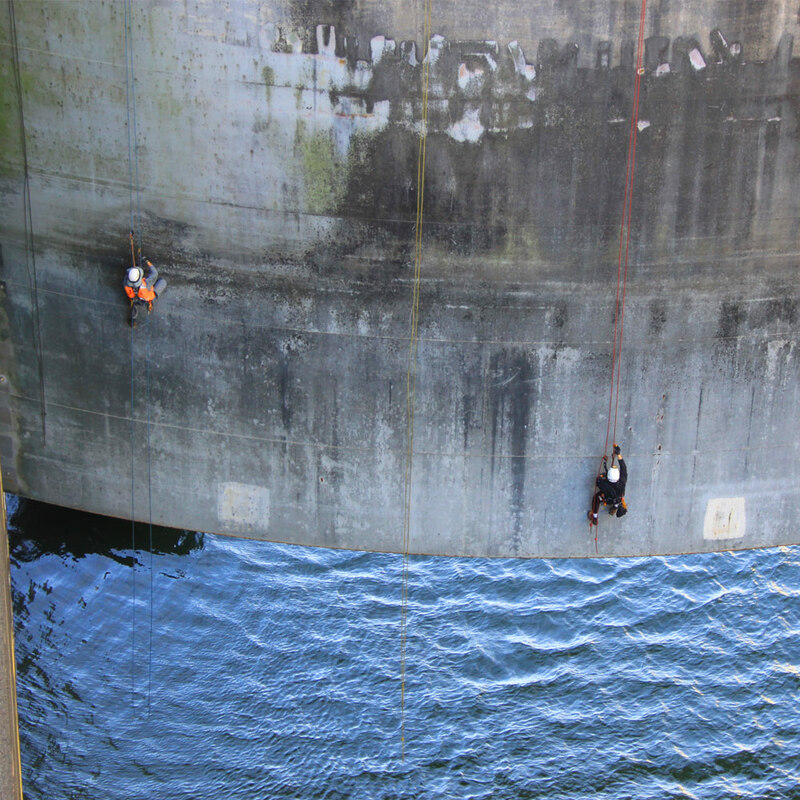 Each team member undergoes world-class technical training in rope access and possess the experience necessary to evaluate critical conditions and perform emergency rescue while ensuring the safety of facility users. The MISTRAS Rope Acess team has over 1.5 million safe work hours on rope without an OSHA recordable incident. With locations worldwide, 35 years of experience, and more than 2500 skilled technicians, we are confident you will find the MISTRAS team to be safe, reliable and an efficient partner.